For the second instalment of my beauty haul, I'll be sharing everything I've purchased from Beauty Bay, aka, the home of Makeup Geek. To go along with my new eyeshadows I thought it best to opt for a larger Z palette as Makeup Geek products are mainly sold in pan form. Call me boring, but I got the plain black large palette. 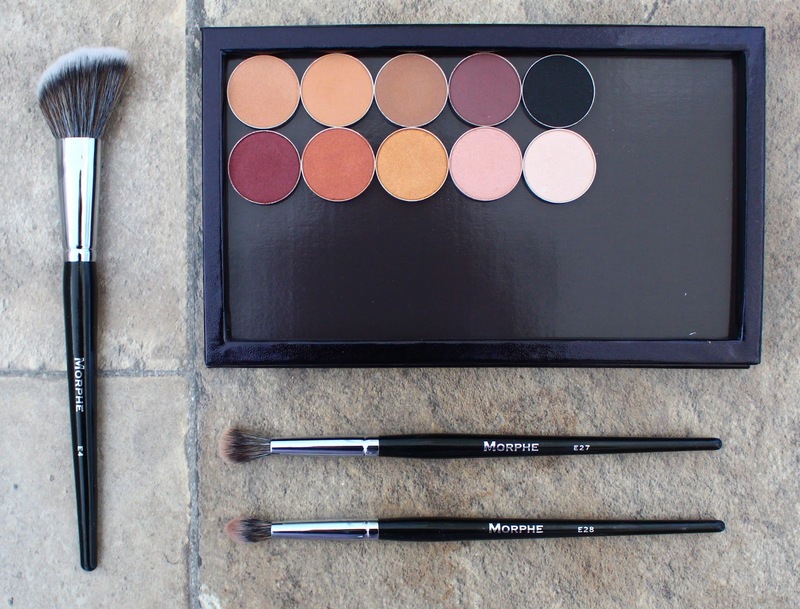 Although I wasn't impressed with the line of Morphe Brushes I originally tried, I knew I wanted to try more as they have such an extensive range. Jasmine commented on my review post that she felt the same until she tried the Elite range. The brushes she recommend finally came back in stock and I pretty much squealed and bought them all. I purchased the E27 and E28 which are both eye brushes and the E4 which is a cheek brush. I'm really looking forward to testing these out! So that's it for the second part of my haul. You can read the first part here and I should have the final part up next week! As ever, I will be doing reviews of everything and I'm already working on an updated Makeup Geek eyeshadow collection.